Foldr v4 allows a user to link a Google account to their Foldr account via the Services section in the Foldr web app. (Found top right when clicking on the user’s name). 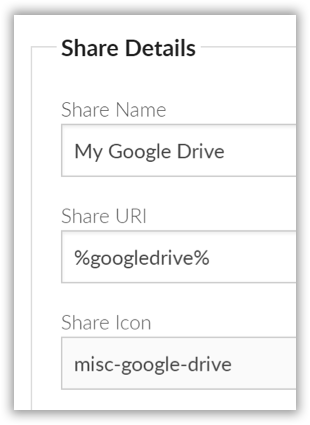 If the administrator has made the Google Drive share available, once the user has linked their account, Google Drive will be presented in the interface alongside regular SMB shares. Additional Google integration also allows users to edit documents held on both Google Drive and local SMB shares seamlessly in Google Apps (Docs, Slides or Sheets). Office documents are imported / converted on the fly and all changes are saved back to the network automatically as you would expect when using Google Docs natively. Google Drive offers the same functionality as on-premise SMB shares through Foldr. i.e. 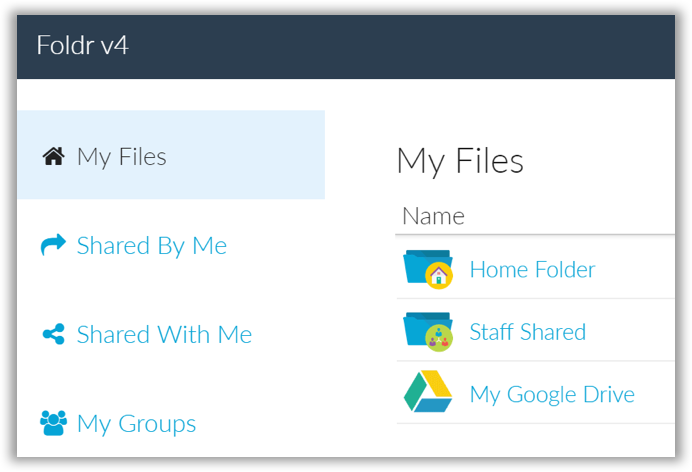 Files and folders can be shared, renamed, deleted, uploaded (drag and drop from desktop) or downloaded from Google Drive. Docs, Slides and Sheets may be downloaded to the local desktop as Word, PowerPoint or Excel as required. Google integration is disabled by default and requires the Foldr administrator to enable and configure this feature, see page 49 for more information. Once correctly configured, the administrator must add a new share using %googledrive% as the share path to present users with their linked Google Drive storage. Please note that Google Drive is not available using WebDAV connections due to use of non-standard file naming and path conventions for data stored upon this platform.